The course is designed to provide an overview of mining and NEPA and is geared towards how tribes can participate in the NEPA process. Part 3 will lay out the regulatory process of mining with an in depth look into NEPA review process and major permits associated with mine operations. The session will also provide examples of key opportunities for tribal participation in the development process. Participants will walk away with an understanding and ability to engage in the NEPA process. Participants are encouraged to ask questions. Jeanne Dunn Geselbracht is an Environmental Scientist at the U.S. Environmental Protection Agency's Region 9 office in San Francisco. She has worked at EPA for 30 years, in both Superfund and NEPA offices. Her NEPA review experience over the last 25 years covers most sectors but has been heavily focused on the mining sector, and she is a member of EPA's National Mining Team. 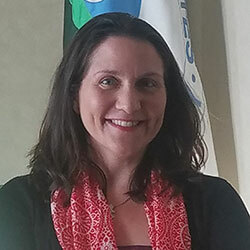 She has conducted numerous international Environmental Impact Assessment training courses and worked closely with the mining and environmental ministries of several countries to help develop Mining EIA Guidelines under EPA's Central America Free Trade Agreement commitments. 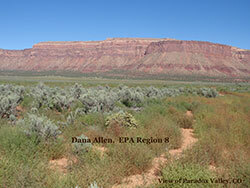 Dana Allen has worked for EPA Region 8 in Denver Colorado for thirty some years. 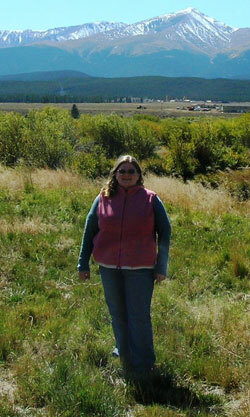 She worked on number of hard rock and coal mining projects as a lead NEPA reviewer. She has also worked on controlling or reducing impacts to surface waters from mining through the EPA's NPDES permit and Superfund cleanup programs. I completed a Bachelorâ? ?s degree in both Geology and Biology from Eastern Washington University and began my Forest Service career 15 years ago in Juneau, Alaska. Starting out in fisheries, I transitioned to the minerals and geology program and began my minerals career administering Greens Creek and Kensington mines on the Tongass National Forest. 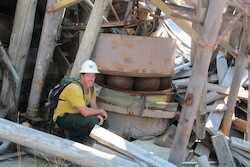 I worked on the Boise National Forest for 5 years as both a Minerals Administrator and the Forest Geologist, managing a large complex minerals program featuring oversight of over 2,000 active mining claims. My program administered a variety of proposed, active, or legacy Plan of Operations ranging from small scale placer mining to large scale exploration drilling. I currently serve in the Washington Office based Minerals and Geology Management group as the Locatable minerals advisor for Forest Service regions 2, 3, and 4.